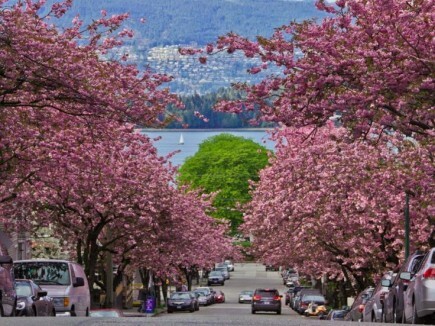 The skies were clear, and the city sparkled as sunlight danced off the harbour and cherry blossoms along the Seawall. Really, how could property values ever go down in such a spectacular setting? Well, it’s happened before. While the economy in Vancouver remains robust, there’s also been plenty of hand-wringing about government intervention. You can’t blame efforts to moderate the market, but the unintended consequences have a lot of people feeling anxious. Perhaps the biggest concern is not a decline in housing prices, but the erosion in people’s purchasing power. While government has worked to cool demand, a lack of supply has kept prices rising. Policies designed to cool demand have also limited the purchasing power of many first-time homebuyers. Many face greater scrutiny when they seek bank financing. Recent increases in posted lending rates have chipped away at purchasing power, leaving homeowners – absent help from the Bank of Mom & Dad – able to afford 15% to 20% less than a year ago. While everyone thinks about the poor, priced-out homebuyer, what does that mean for you, a homeowner looking to sell? Has your nest egg cracked? A glance at the latest Real Estate Board of Greater Vancouver statistics indicates that most people have little to fear. The benchmark price for a Westside house has inched down marginally over the past year, a good sign that most properties have held their value. Prices for townhouses and apartments have increased, dramatically – 10.1% and 16%, respectively. This suggests that there are still buyers out there keen for Westside real estate. And let’s face it – a Point Grey house isn’t the starter home of choice for most first-time buyers – they’re more likely to opt for a Kitsilano condo, or something further east. This means the buyers looking at your home are likely to have solid equity, good banking relationships and fewer restrictions. This isn’t to say there isn’t downward pressure, of course. The talk about falling prices may lead some buyers to expect a better deal than currently exists. It pays to anticipate this pressure. On the one hand, make sure your property can justify the list price (this is where Ken can help make sure the price is appropriate). The take-away? Being aware of market conditions will help you protect your nest egg when downward pressure on prices comes. Working with a trusted professional will make sure you get the best price possible. But for now, your nest egg hasn’t cracked.